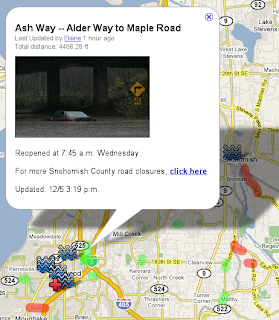 December 2007 Flooding shows flooding in Snohomish and Island counties. 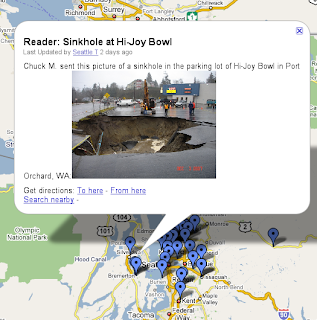 Storm reader reports was produced by the Seattle Times from reader reports. 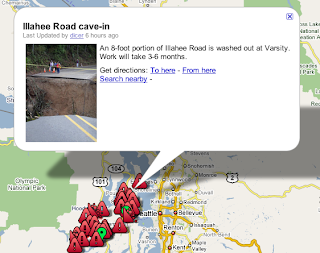 Kitsap/Mason Road Closures shows roads that have been washed out.